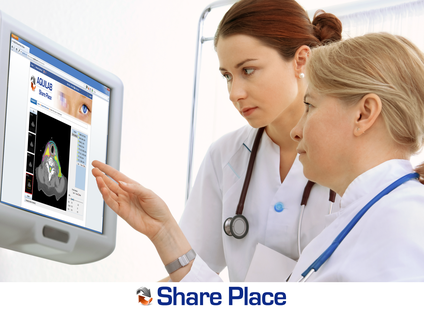 AQUILAB Share Place is a secured web-based platform dedicated to the review of images & RT treatment reviews and the management of clinical trials. The success of such trials primarily relies on homogeneity of treatments and regular follow-up of participating centers in order to respond to protocols’ compliance. With Share Place, it is possible to customize the process of your clinical trial and to facilitate treatments’ analysis, while ensuring security of the exchanged data. Customize our platform to fit your needs in centralization of review of images, nuclear medicine and RT plans. Exchange your clinical data and images on a secure platform. Possible connexion to our ARTIVIEW software for image review. Customize your patient reports and set up automatic reminders. The patient can access to the platform using computers, tablets and smartphones. Our team is available for more information about our products and services. Feel free to contact us!